Social Media is a world within a world. There is no doubt to the prior that social media is an integral part of digital marketing. A bunch of social networks exist today like Facebook, Instagram, Twitter, YouTube, LinkedIn. Within this blooming sphere you need to hunt for a chiseled strategy to promote your brand. At Cyberrafting we help you to deduce the best strategy to reach numerous online customers, in the most appealing manner. Using engagement and user interactive activities, you may also improve your customer service via active social listening and response. Cyberrafting understands the science behind what makes something shareable. We help your brand to be heard and shared. 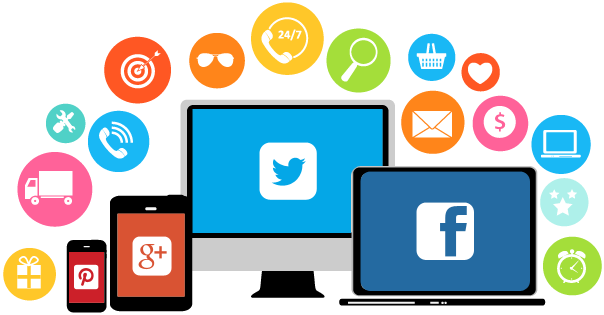 Social media services are easily accessible to everyone with the growth of technology and moreover it is relatively inexpensive than traditional advertising. Cyberrafting develops successful social media marketing strategies that deliver the right impact.As companies of various sizes in diverse sectors have found out, we help you reach your target audience optimally, create 360 degree brand awareness and achieve results that fulfill your business objectives.